Let’s Give Foster Kids The Christmas of a Lifetime! 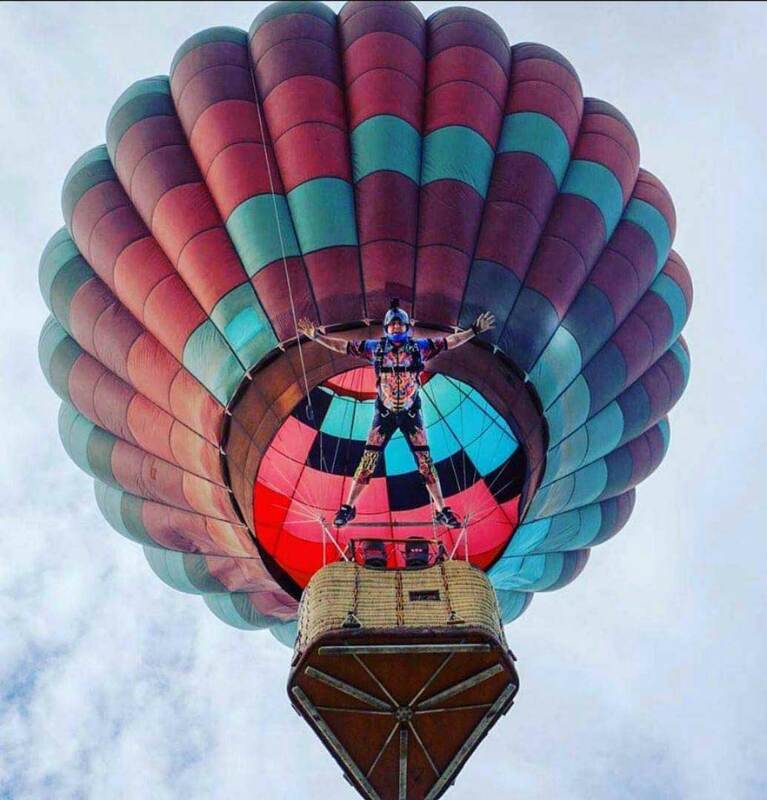 Hot Air Balloons, Breakfast, Indoor Skydiving, Presents & More For Local Foster Children! Imagine you’re 12 years old and It’s Christmas morning. You wake up and like most 12 year olds, check your Facebook. You see photos from all the kids you go to school with posting photos with their families, photos of their new toys and extravagant home-made breakfast. Unfortunately, you don’t know what’s that like. You live in a group foster home. You get out of bed and get a single ‘Merry Christmas’ from the foster home staff that are working that day. Breakfast is a little better than normal for the holiday, but nothing like the photos you saw on Facebook earlier in the morning. You and the rest of peers in the foster home head to the common area, to have another uneventful day watching tv. There is no family there celebrating with you. There is no teeming excitement about presents. There is no gorging on mom’s amazing food. There is nothing at all. Just sadness and numbness, because this is your reality as a child in foster care. If you could help turn these kids’ Christmas around, would you? Well, here’s is your chance. 1. Transport children on Christmas morning to Perris Skydiving Center. These kids will have no idea what’s going to happen, just like you as you read this. How exciting, huh! 4. Upon landing, the kids will arrive back at Perris Skydiving Center. At this point, a breakfast of epic proportions will be served. We’re talking Eggs, bacon, french toast covered in syrup and powdered sugar & cinnamon rolls. 5. Now for our favorite part! All of the children will be escorted over to Perris Indoor Skydiving Center, where they will be able to experience the gift of flight! 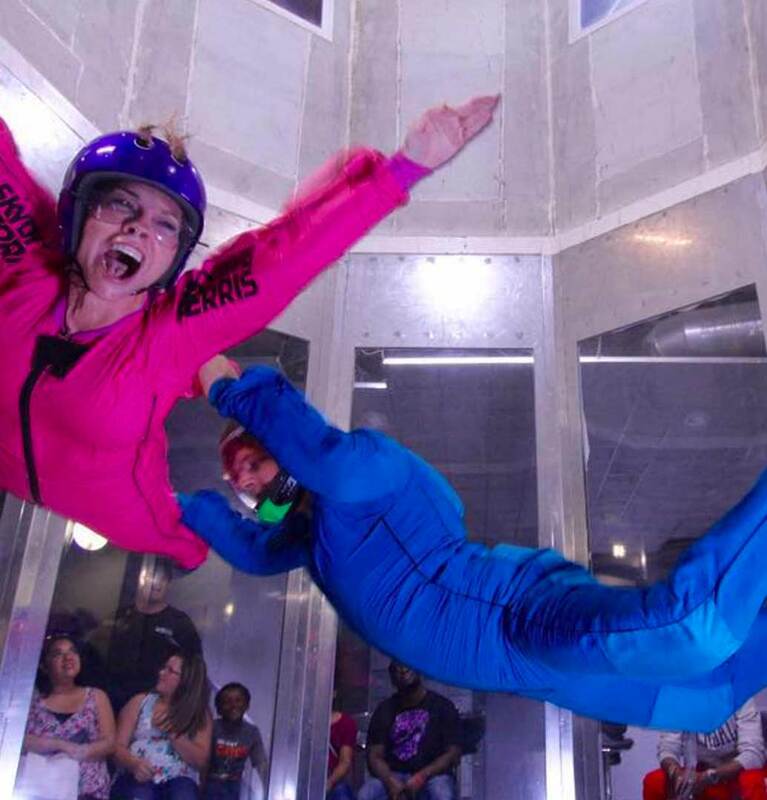 Each kid will get multiple sessions to experience indoor skydiving, learning the basic skills such as flying by themselves and basic forward/side movements. 6. Next, the children will be escorted upstairs to the private area of the skydiving tunnel. There will be a Christmas Tree set up with a mountain of presents. There will be presents for each of the foster kids, along with stockings filled with delicious candy and fun trinkets to play with. 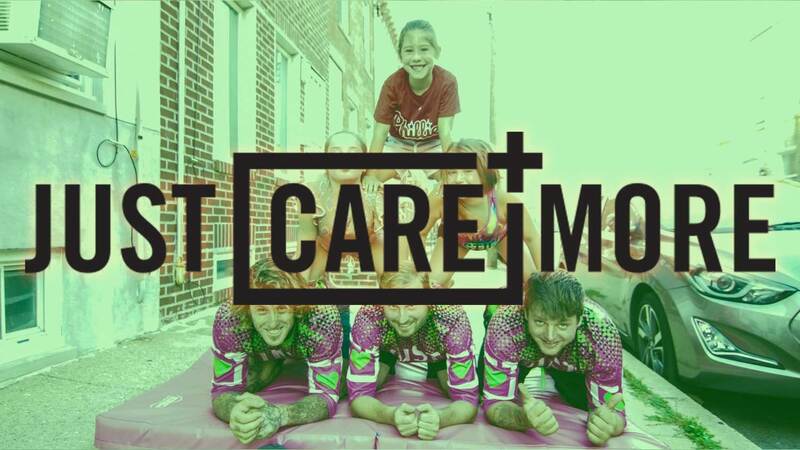 This time will be spent having open discussions between the kids and Team Just Care More, with the goal of creations inspiration and drive within each child. Being a smaller group of foster kids will allow time for each individual kid to get the attention they deserve. GET INVOLVED BECAUSE WE NEED YOUR HELP! 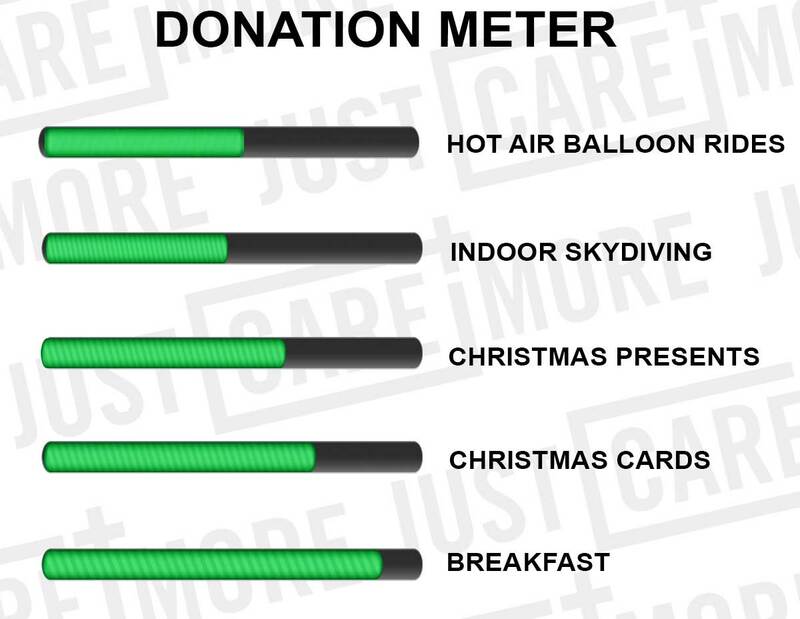 MOST IMPORTANT: We are still in need of donations to cover the cost of the children’s hot air balloon rides, indoor skydiving tunnel and breakfast food. You can help by donating below in the donation box.